As a featured expert on the podcast, you agree to participate in an approximately 30 minute audio interview. Expert agrees that the interview will be recorded by Carrie Rubin. Carrie Rubin agrees to provide the back-end coordination and production for this event, including call lines, recording equipment, event site hosting, and digital product sales, if required. Carrie Rubin agrees to promote this event via its own email lists, social media, and website, and to host information about the event, the Experts, and the offers for participants. Carrie Rubin will provide e-mail, website and social media template sample copy that Experts can use for promotion of the podcast. Experts must provide a photo, short bio (140 words or less) and details of their free gift for participants (if applicable) no later than two weeks prior to show air date. Expert agrees to promote the event and their participation to their own subscribers/audience. Experts MUST send a podcast specific email to all members of their email list within a week of show air date, promoting their own interview and encouraging participation from their audience. Experts MUST share information about the event via their main Facebook and Twitter pages and any other social media channels within a week of show air date. Experts MAY additionally share information about the summit via e-newsletter, blog, website, etc. Experts ARE ENCOURAGED to participate in Facebook discussions about the summit and their interview. Experts have the option to provide a free gift/free resource for podcast listeners hosted on their own website. This gift is at the discretion of the Expert, but it must be available to all Event participants for FREE. This gift is what will drive podcast listeners to your site to sign up on your opt-in list. Details and links to your links to your free gift sign-up must be available no later than two weeks prior to show air date. You agree to do the interview without charge, and agree not to request compensation from Carrie Rubin at any point in the future. The material you share on your expert call is, and will remain, solely yours; Carrie Rubin owns the recordings and transcripts of the interview. Carrie Rubin may re-purpose, re-sell, and re-use your recording indefinitely and without compensation to you; and that you will be provided with an MP3 recording of your expert call. You are free to re-purpose, re-sell and re-use your expert call recording indefinitely, and without compensation to Carrie Rubin. 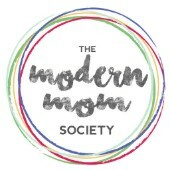 In so doing we ask that you identify The Modern Mom Society, Carrie Rubin as the interviewer, and provide a link to our website, www.themodernmomsociety.com.